That was their hiking advice. That goes against every single of fiber of my being, and I hope at least on some level, you see the problem with this statement, too. Hiking Tip: You need to step out of your comfort zone! If none of us ever stepped outside of our comfort zones, where would we be? Really, though. Picture it. We would be drones. Doing the exact same things everyday, in the same order, eating the same foods, only interacting with the same people, stuck in the same job, maybe escaping to the local, urban park once a week to ‘hike’ the same flat, humdrum loop over and over again, month after month, year after year. Never leaving our home states, or even our home towns. While that may be a comfortable life, after a while, you’d probably be pretty miserable and might not even be able to put your finger on why. Humans need to go outside their comfort zone! We need to try new foods, go new places, meet new people to be inspired by, learn new skills, and challenge ourselves in new ways. This includes in the great outdoors too! If you want to progress in this life, both mentally and physically, you need to push yourself out of your comfort zone sometimes. That is your growth zone, it is your friend. Now, don’t get me wrong – I want you to push yourself within reason. If you’ve never, ever been hiking before, you should definitely not go out and attempt to summit Everest without a guide or team, that would just be dangerous. Sorry to be a downer. 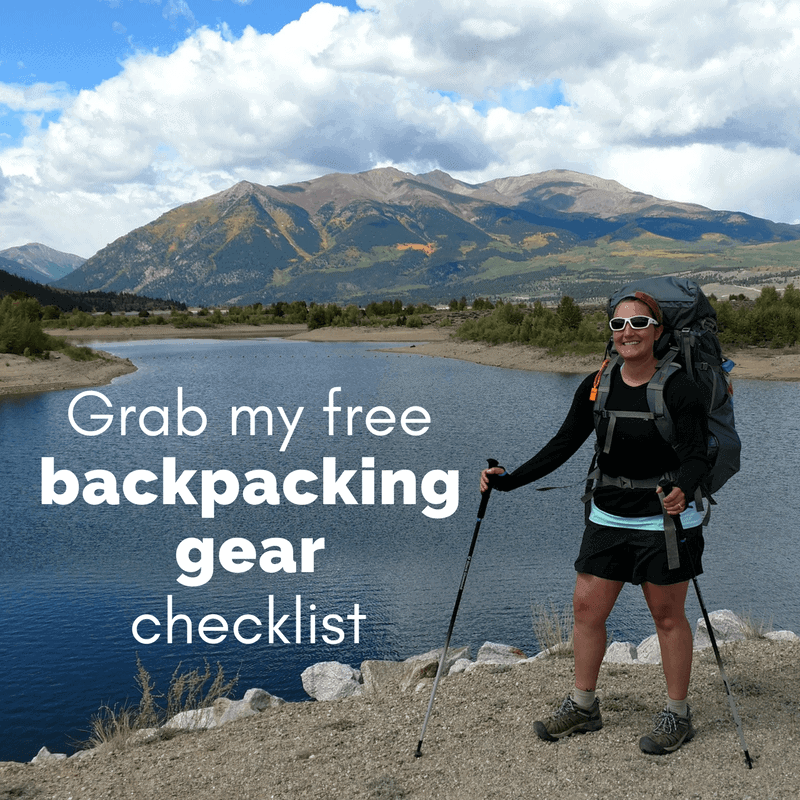 But, for example, maybe you’ve never been backpacking before and you’re a little scared to go out on your first trip, especially if you don’t have a hiking buddy. That would be outside your comfort zone, and you know what, you should totally go there! Do it! Make it happen! Again, within reason, do your research ahead of time, make sure you have the proper gear and clothing to keep yourself warm and safe on the trail, pick an easy to intermediate difficulty trail for your first trip and make sure someone knows where you’ll be and when you’ll be back. Or if you don’t find a relatively easy trail close by, go practice at a campground at first. 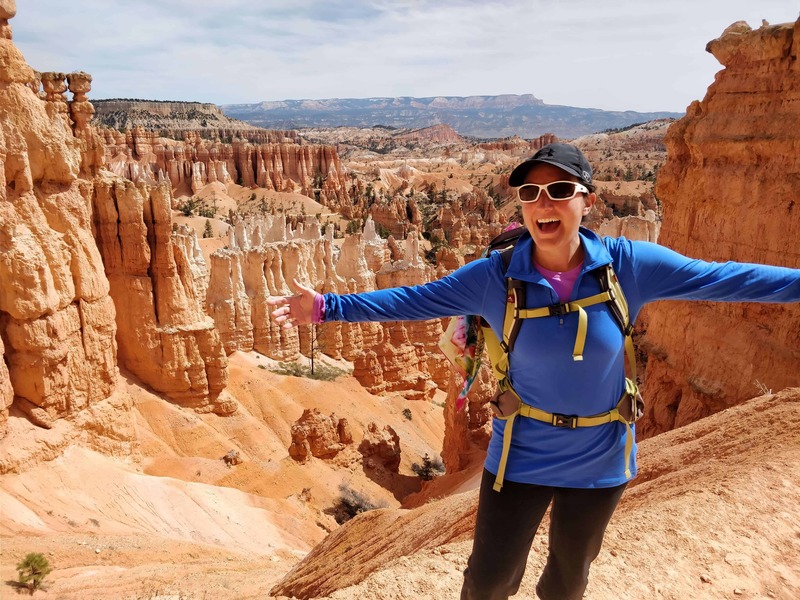 One of my favorite things about backpacking and solo hiking is the sense of empowerment that comes with it that overflows into every other aspect of my life. I haven’t figured out anywhere else to get that feeling! And one of my greatest wishes is that you get to experience that empowerment too! Stepping outside of your comfort zone does not have to be dangerous. But there can be a thin line between your growth zone and the danger zone sometimes. You do need to learn to differentiate between what just feels scary to you, and what is actually a danger. For example, hiking and camping in the winter isn’t inherently dangerous if you have the right clothes and equipment to keep your body warm, but if you start to show signs of hypothermia you need to learn to recognize that, call for help and take some action right away to keep it from progressing to a dangerous stage! So I’d like to challenge you – do one thing that scares you at least once a week. It can be big or small, and could be in your personal, professional, or trail life. Just try it ok? 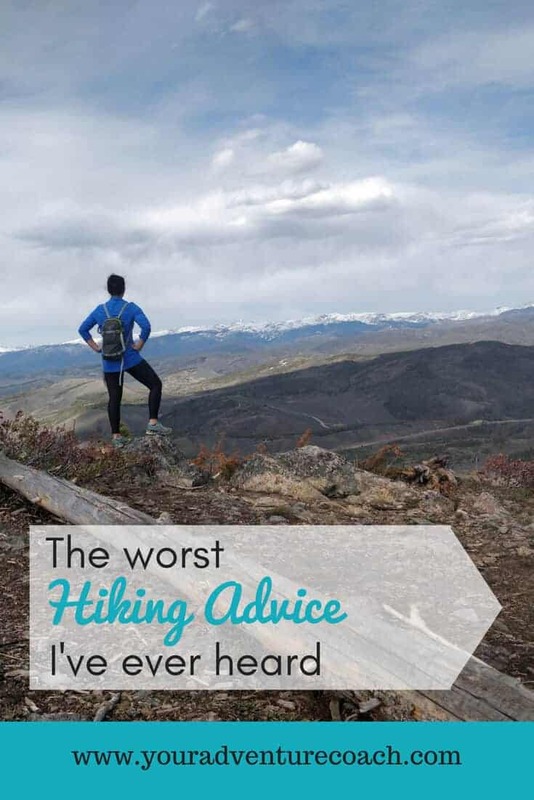 Let us know the worst hiking advice you’ve ever gotten in the comments below! How much first aid training do you need as a hiker? The worst advice I’ve ever recieved on hiking was by one of my friends, who told me not to hike in the spring or summer so that I wouldn’t get ticks on me. I told him I’d never let a little insect parasite dictate where I will go and what I will do. I totally agree! We need to be able to know when to challenge ourselves and when to hold back… that’s how we grow as individuals and as a society. 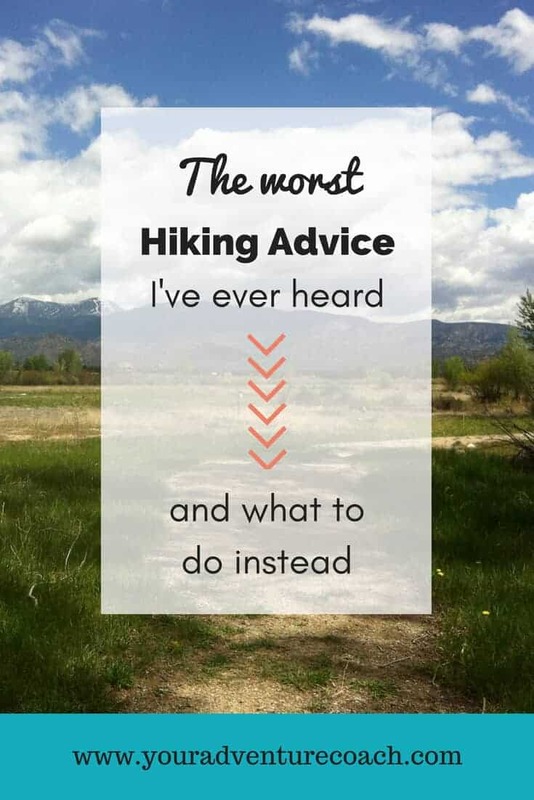 As for the worst hiking advice? I think the advice I shouldn’t have listened to in the past was to purchase hard-core hiking boots for some weekend back country trips. Those suckers were heavy, and uncomfortable. And, no, they did not break in and become the most comfortable footwear I owned. interested to see your suggestions.